This is a round A&W Root Beer porcelain sign. This particular A&W Root Beer sign is predominantly yellow with purple text and a white center. 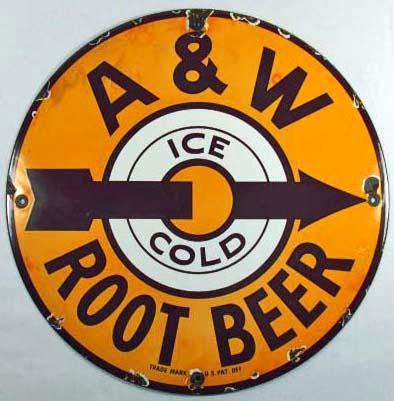 It reads, “A&W Ice Cold Root Beer”, and features a large arrow in the center.